In a digital age, where congregations have unprecedented access to resources, do we still need sermons? 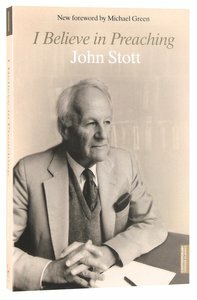 In this book, John Stott examines the theological foundations for preaching, and the bridge-building role of applying biblical truth to the everyday lives of Christians. 368 pages, from Hodder & Stoughton. About "I Believe in Preaching"